Posted Sunday 06 May 2018, revised 01 August 2018. 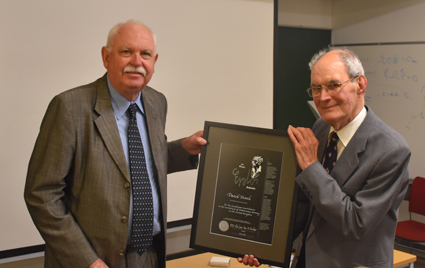 David Monk is presented with his Erdös Award by Past President Peter Taylor on behalf of the WFNMC at a function facilitated by the UK Mathematics Trust at the International Centre for the Mathematical Sciences in Edinburgh, Scotland on 01 August 2018. Present were his family and colleagues. The pictures below show him first with niece Kathryn, wife Isabelle and Peter, and the second with Peter and colleagues Geoff Smith and Adam McBride. David Monk attended the IMO as UK team leader four times (1984, 1986, 1988 and 1989), as deputy five times (1968, 1974, 1982, 1983, 1985). He also led the UK team at the IMO substitute competition in Luxembourg in 1980. 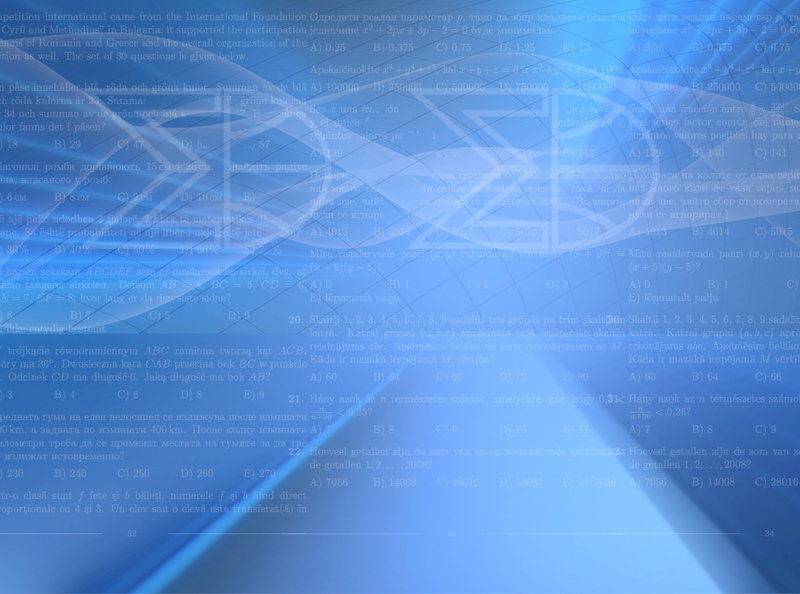 He is best known as a composer of problems, and even now he continues to submit problems to the UK Mathematics Trust, and these are used both domestically and internationally. In 2016 we used two of his problems in the British Mathematical Olympiad. It is believed that his problems have been used at in the Balkan Mathematical Olympiad, the Romanian Master of Mathematics and the Gulf Mathematical Olympiad. He is best known in the mathematical olympiad world as the most prolific composer of IMO problems. He is the author of at least 13 problems (and arguably 14) that have appeared on IMO papers. In 2008, David Monk was awarded the International Mathematical Olympiad medal for 40 years of service this being a special, one-off award. David is a retiring and modest man, and it is typical of him that he rejects partial authorship of 1976/6, and attributes it to Robert Lyness. Other people remember it differently! In addition, David Monk has only recently retired from being an active trainer at the annual UKMT camp in Trinity College Cambridge. The students would very much enjoy his tricky “background problems” which they would solve in groups during the camp, and the presentation of solutions by students (sometimes with David’s help and encouragement) was the highlight of the camp. 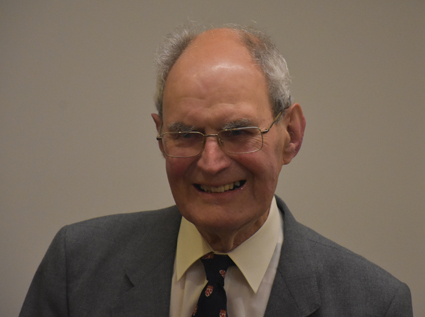 In addition to his work with the IMO, he was also involved with mathematical competitions for younger school pupils in Scotland, in addition to being for many years a member of SED Examinations Board involved in the content and examinations of the Certificate of Sixth Year Studies (CSYS). 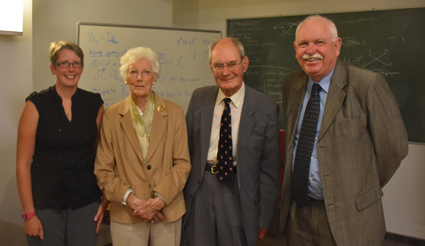 In 2015 the UK Mathematics Trust awarded David Monk a gold medal for his wonderful service. David Monk studied mathematics at Trinity College, Cambridge where he wrote his PhD thesis "The Geometry of Flag Manifolds" under the supervision of John Arthur Todd. 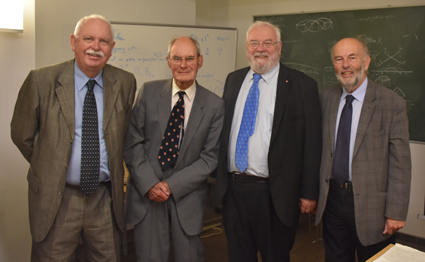 His career as university professor began at the University of Hull, for three years, then at the University of Edinburgh where he spent the rest of his career until retirement.